Welcome to the Future Baits web site. Primarily I now design and or manufacture ranges of bait for several larger companies. We own an automated factory and currently are producing 3000kg of boilies a week for various companies. Added to this I help out friends in the trade if they get behind with their bait rolling, putting the occassional ton of bait through the rollers at busy times. By supporting the companies we work with you can relax in the knowledge the bait you are using has been produced in one of Britians newest, cleanest!, and proffesionally run bait factories. We supply 100's of 1000's of kilos of boilies so consistancy is assured year round. Many aspects of the factory use traditional methods, as these are best. We DO NOT STEAM the baits...steamers run at a minimum temperature of 140 degrees, often 180 degrees plus. This temperature totally destroys the fragile protien chains that have been painstakingly preserved in the base mix ingredients. Steamers are just easy, not better...and I'm sorry but we dont go down the 'easy' route if the bait quality will suffer. 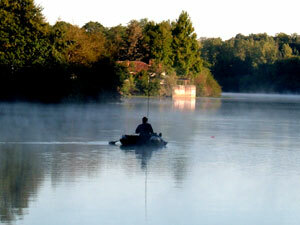 I've found what I consider to be the best French fishery there is. Paradise Lakes near Limogue is the most relaxed, proffesionally run lake I've ever visited. The average stock size is amazing, the fish quality unparallelled. Check the new page to see a few pictures from my 2008 trip, and keep an eye out for the update as I go again next week. 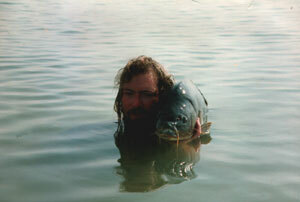 I've just got back from the 2009 trip with a tally of 7 50lb+ carp! plus 6 forties to 49.4 including a 45lb common. A company formerly trading as carp addicts, declared bankrupcy and started again as carp addict baits (or something similar!) has no baits designed or made by me, and has never had the permission to steal the articles from this web site to claim as their own, and certainly not to forward it to the carp magazine 'Big Carp' for publication! Unbelievable what some companies try to do to sell a few kilos of bait.